Every tyrant who ever threatened the Kingdom is gathering to Alberon’s table, and the forest is alive with spies, wolves, and bandits. 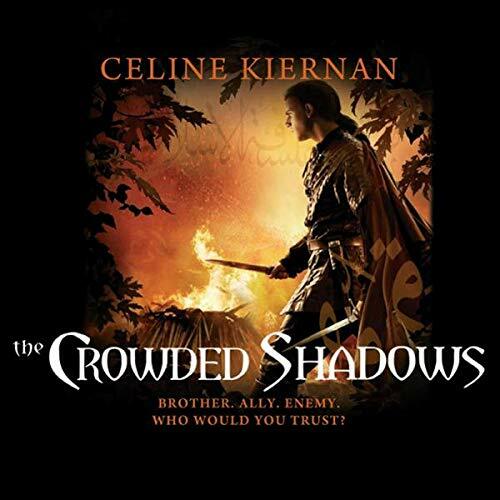 Within these crowded shadows, Protector Lady Wynter Moorehawke travels alone and unprotected, determined that she shall find the rebel prince and heal the rift that has come between the King and his legitimate heir. But who is an ally and who is a foe? In this, the second of The Moorehawke Trilogy, old friends and even older enemies ensure that Wynter is never certain of whom she can trust. Listen to more in the Moorehawke Trilogy.